Bogie hearth furnaces are chamber systems of medium or large dimensions, with an extractable bogie hearth for loading the material. They are furnaces used for reheating and heat treatment, hardening and tempering which include a quenching tank. 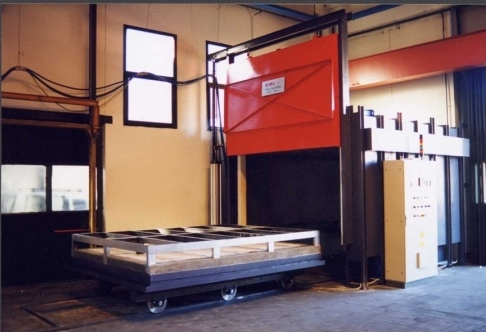 The application fields range from energy to nuclear, from"oil and & gas" to the aerospace and automotive industry, and for companies that perform heating and annealing treatments, casting of non-ferrous metals and plastic moulding, we make reliable and professional furnaces with removable bogie hearth. This type of industrial furnace is suitable for carrying out various heat treatments, such as: heating, normalising, annealing, stress relief, tempering, hardening, etc. 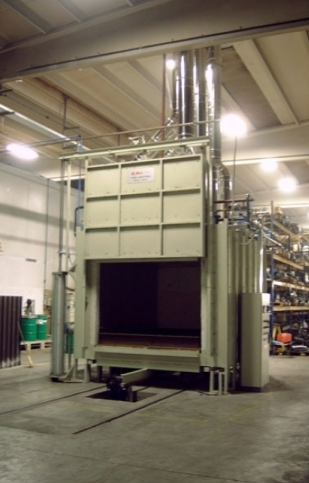 Thanks to years of experience, E.M.I Italia produces the best types of bogie hearth furnaces for the industrial sector. 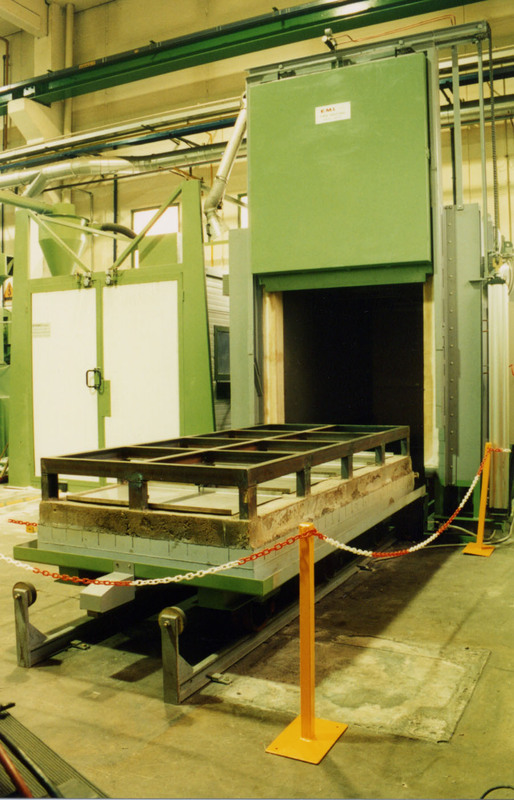 The bogie hearth furnace represents a basic system for heating large parts such as structural steel work, heavy mechanical parts, fittings, anchorage flanges and brackets, steel products and much more, or for the production of large quantities of pieces that other types of furnace cannot manage. Usually, double bogie hearth and double door furnaces are used since they allow to optimise time, reducing that which is necessary for loading and unloading the material. Bogie hearth furnaces, thanks to their operation by heating and cooling stages and to their natural thermal inertia, provide for the use of automatic flue gas recirculation or recirculation burners, able to correct the energy imbalances typical of discontinuous furnaces.